and that pen is our will. and that page is our life. 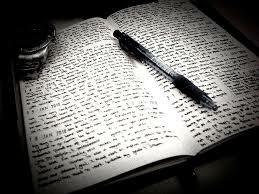 The only sin in life is not to write. that we never dare to try.